Despite the recent hurricanes, golf is still available in the state of Louisiana. 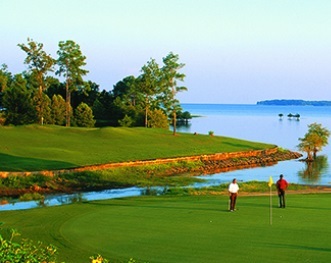 The most recognizable and renowned course is the Tournament Players Club of Louisiana. It was designed by Pete Dye in 2004 and opened to rave reviews. After the hurricane it re-opened in 2006 and hosted a PGA event in 2007. It has an excellent reputation and is available for a reduced rate after 3:00. It plays long and difficult. Because of the humidity, you’ll need to rent a cart to finish. Tee times are available in the New Orleans area as well as the North Shore of Lake Ponchartrain, the Baton Rouge area, in Northern Louisiana, and in the Lafayette/Opelousas area, all at very reasonable prices, and in some cases, at very large discounts from the normal green fees rate.